Forget about expensive wired Home Automation systems when total control of your window furnishings is available via your Home Wifi for under $400. 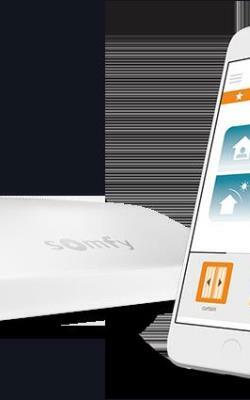 The Somfy Connexoon Window Wifi Home Automation Hub will control all blinds and curtain tracks motorised with Somfy brand RTS Radio Controlled Wired and Wirefree motors. The Automate Pulse will do the same if your blinds are motorised with Automate ARC Radio controlled wired and wirefree motors. Simple instructions on the Apps will guide you through the process. No electricians are required if your blinds are already powered. Total control with multiple function via the internet and your home Wifi from anywhere in the world. Both Wifi Home Automation Hubs can be controlled via voice controlled assistants of the likes of Amazon Alexa and Google Assistant.